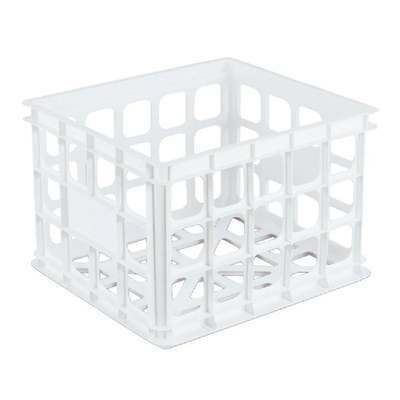 Storage crate features a recessed rail designed for hanging file folders. White. Dimensions: 15-1/4" L. x 13-3/4" W. x 10-1/2" H.